Rev. Edward Pinkney listens as his wife Dorothy Pinkney thanks a crowd in Detroit Nov. 17 for their support of her husband. She told VOD she will not waver in her love and support for him as well. Pro-Pinkney organizer Marcina Cole is at left. Berrien County Prosecutor Michael Sepic charged Pinkney with changing five dates on petitions to recall Benton Harbor Mayor James Hightower. 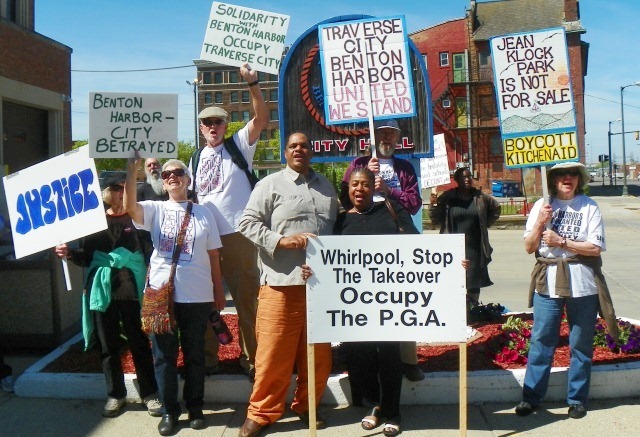 The petitions cited Hightower’s backing by the Whirlpool Corporation, which has closed all its local plants and taken over large swaths of the city’s public land. A Michigan State Police forensics lab technician testified that there was no way to tell who had changed any dates. 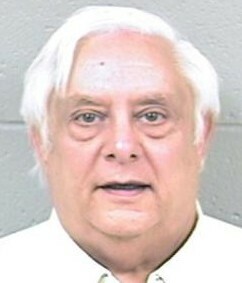 He said he found discrepancies on 10 of 40 petitions, but the only five used in the trial were those circulated by Rev. Pinkney. Witnesses testified all the petitions had gone through many hands. Ironically, Benton Harbor was the first city targeted in 2011 by Michigan’s Public Act 4, the Emergency Manager law which later became PA 436 in 2012. The law has now deprived over half of Michigan’s Black residents of their true election rights, and stripped their cities, including Detroit, the nation’s largest Black-majority city, of their major assets. Their residents face growing poverty, unemployment, foreclosures, police brutality, and incarceration. Rev. 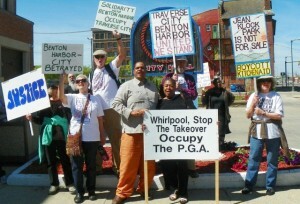 Pinkney protests Benton Harbor takeover, PA 4 at rally May 26, 2012. Pinkney led a mass campaign against Benton Harbor’s EM takeover, and for many years has challenged the high rate of police killings and incarceration of Benton Harbor residents. Marcina Cole, a leader of the Detroit delegation, cited what she said was the chief reason for Pinkney’s conviction by an all-white jury and his sentence in the majority-white, well-to-do St. Joseph. That city is just across the river from Benton Harbor, 98% Black, with an official poverty rate of 43 percent, the highest in the state. 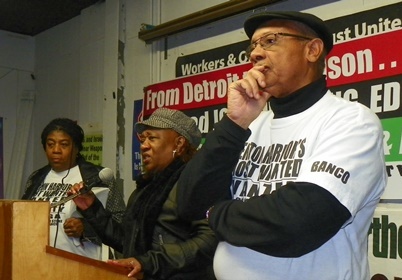 Detroit supporters (center) Cornell Squires and Marcina Cole in Benton Harbor May 24, 2014. Berrien County itself is 15.2 percent Black, so Rev. 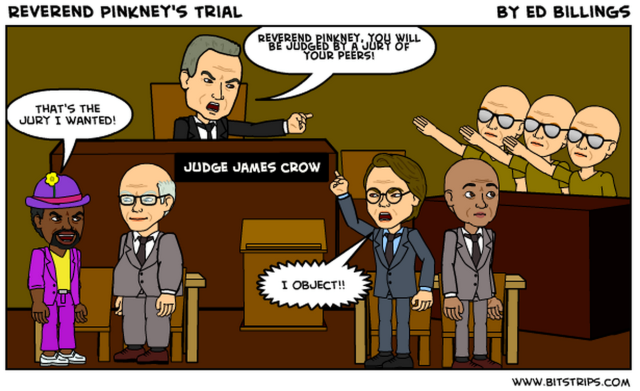 Pinkney’s jury venire should have included at least that many Black residents. But Berrien County Prosecutor Michigan Sepic got the only two Blacks on the large venire removed. Pinkney also said in a motion that at least one juror, Gayle Freehling, lied when she said she did not know Berrien County Clerk and trial witness Sharon Tyler, although she had worked with her on various political events and also served as a city clerk under her in Berrien County. Tyler turned over the petitions in question to Berrien County Sheriff Paul Bailey without a warrant. The chain of evidence from that point was severed. No originals, only copies of the petitions were used to bind Rev. Pinkney over for trial. No one seemed to know where the originals were. 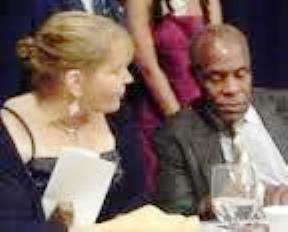 Pati Heinz with another Pinkney supporter, actor Danny Glover, during BANCO banquet in 2012. Despite what some called the “lynch mob mentality” in St. Joseph itself, many whites came out to support Pinkney, including Pati Heinz of southwest Michigan. Pinkney turned himself in after a SWAT team stormed his home last May. Berrien County sheriff’s deputies then raided homes of petition signers throughout the city, trying unsuccessfully to get them to testify that they had not signed the petitions on the dates indicated. At least 30 petition signers at Pinkney’s trial verified their signatures and dates. Prosecutor Sepic’s use of five felony charges against Pinkney contrasted with the treatment accorded Michael Brandon Hall, who ADMITTED that he forged the actual signatures of 10 voters, unlike Pinkney, who denied any wrongdoing. An Oct. 23 appeals court decision upheld rulings by lower courts that Hall was appropriately charged under election law, with misdeameanors, not felonies. 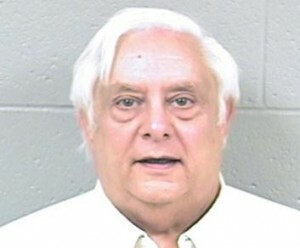 Benton Harbor County Commissioner Robert Wooley in mugshot. Rev. Pinkney’s attorney Tat Parish earlier told VOD that any sentence in his case would be appealed. Neither Parish nor Pinkney’s appeals attorney Tim Holloway were available for comment at press time. Rev. 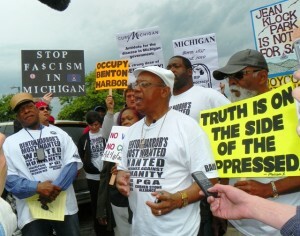 Pinkney was framed by the Michigan Republican Party for fighting corruption and austerity. He was convicted with no evidence. A handwriting expert said in court that there was no way to tell that Rev. Pinkney had changed the dates on mayoral recall election petitions. One of the jurors, Gail Freehling, lied during jury selection about her ties to the prosecution. She has retained counsel. This alone is a reason for a mistrial. All of the details are at https://freepinkney.wordpress.com/ and https://bperet.wordpress.com/?s=pinkney&submit=Search.